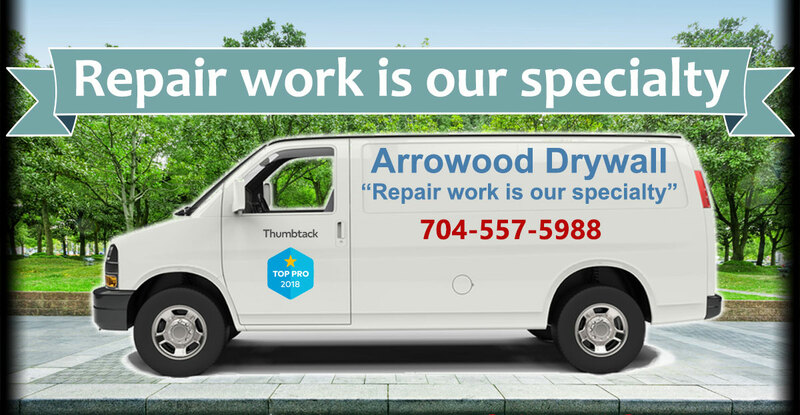 You will not find a company better at repair work than Arrowood’s Drywall Service. We have been in business since 1985, providing our services to countless clients, perfecting our craft. With most companies, if they work for 32 years, they’ll have countless complaints leveled against them. However, in 32 years, we have never had a single complaint with BBB, and we plan to uphold this reputation. Our work truly speaks for itself. Yet, we still provide our expertise and couple it with immense respect for each and every one of our clients. Our drywall and ceiling repair services are unmatched in the industry, a claim that we continue to showcase with each project we take on. 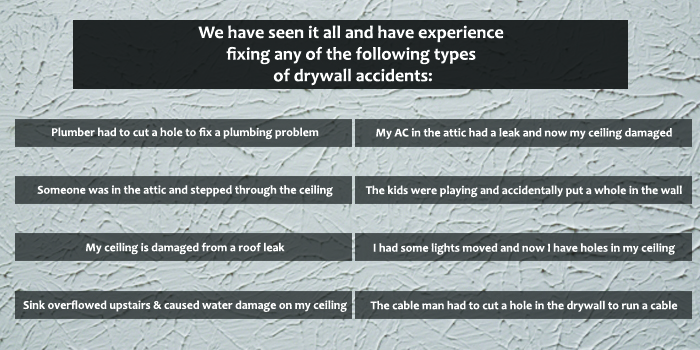 When you think of the experts in repair, make sure to think of Arrowood’s Drywall Service! We do any drywall work from small holes caused by plumbing work to people accidently falling from the attic through the ceiling! At Arrowood’s Drywall Repair, we are so confident in our services, we put them in our company name. We’ve been doing drywall repair for over 32 years, proving time and time again that we are the best in the business. Whether you need a taping and texturing, a smooth finish applied, or a hole in the wall repair, we are the team capable of taking on the drywall problem you may have. 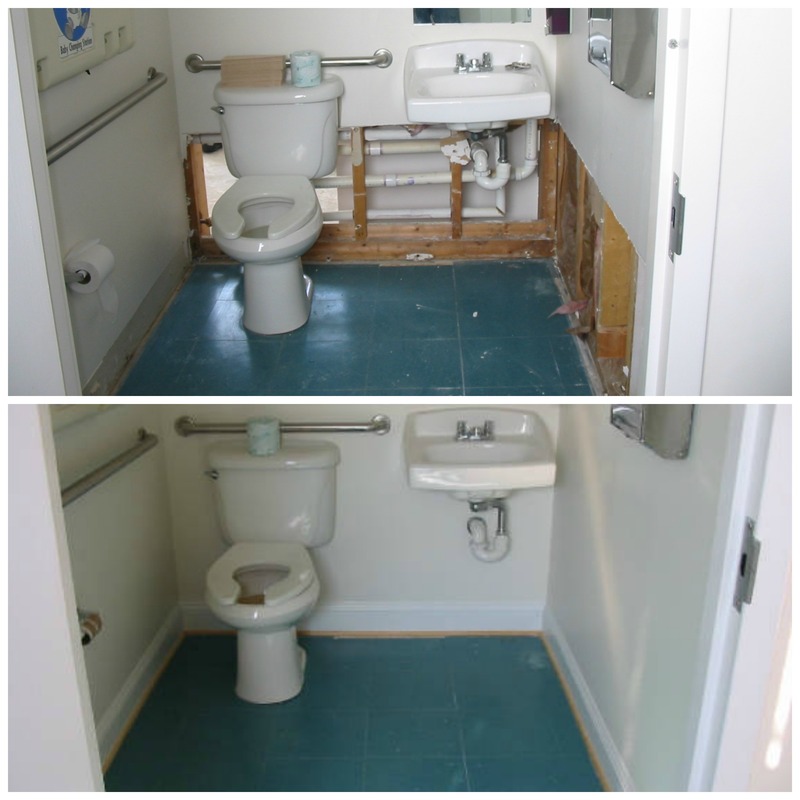 Don’t live with cracked or destroyed drywall any longer, call in the experienced team at Arrowood’s Drywall Service! Ceilings have a special place in our skillset. We’ve seen and repaired countless ceilings, ensuring that we repair each and every one to the absolute best of our ability. 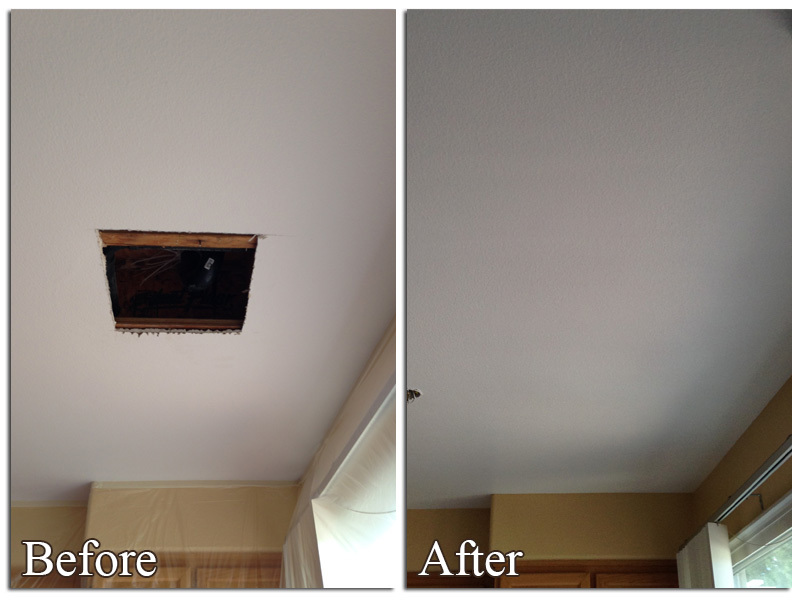 We repair ceilings with ease regardless of how extensive the damage is. 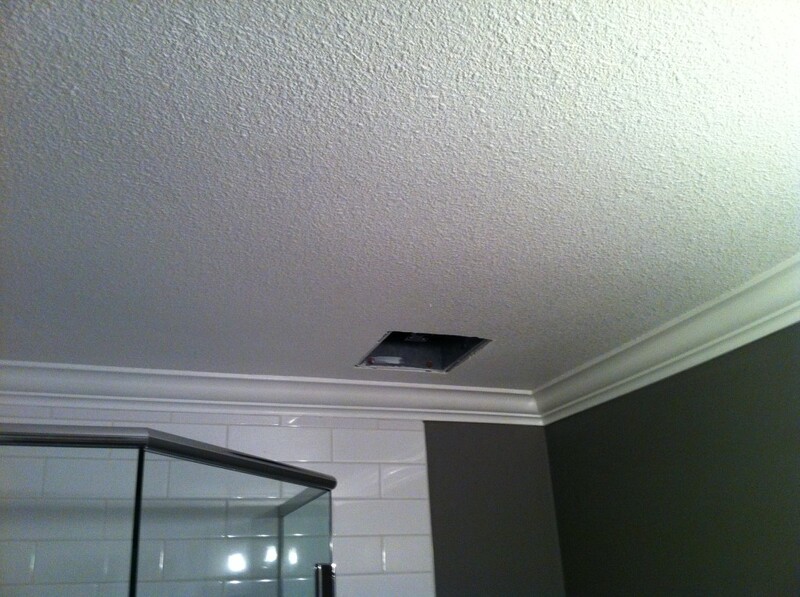 We have repaired small holes all the way up to someone who has accidently fallen through the ceiling from the attic. There is a reason that we’ve never had a single complaint with BBB in 32 years, it’s because we treat each customer and their problems as they should be treated – as respectable people with a problem that we know how to fix. 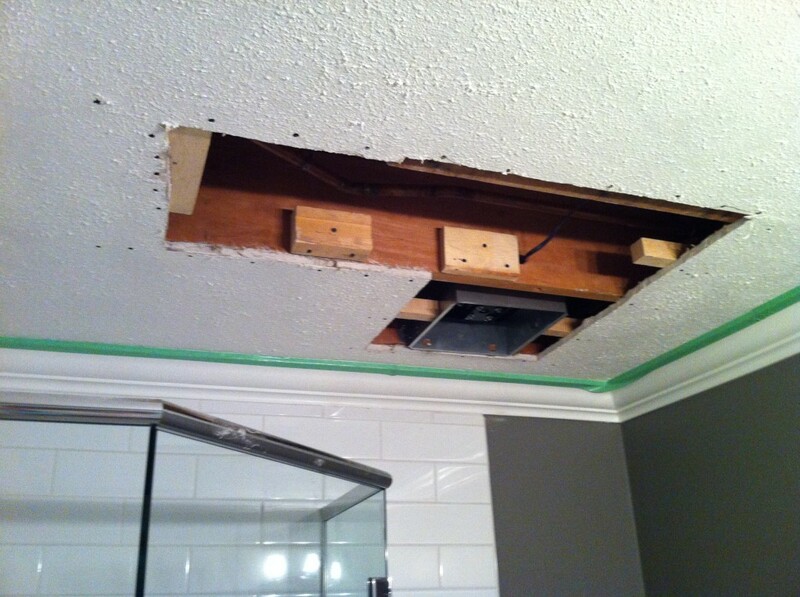 So, if you’re in need of a ceiling repair in the Charlotte, NC area, you know the experts to call! Scott was a pleasure to work with. He was flexible and was able to work with my schedule. He showed up on time and went straight to work. He did a great job and we would recommend him to anyone. I chose this place based on its excellent reviews and it certainly lived up to expectations. Scott is a nice guy who responded quickly to my messages and actually accommodated a same day appointment! He showed up on time and did a great job. On top of it, he’s a really friendly guy. And one last thing, VERY reasonable prices. Can’t go wrong!! Scott was a pleasure to work with when he fixed our drywall. He was on time and diligent in his work. My wall looks as good as new thanks to him!